Travelling around the world? Got an appetite for exquisite treats? If it is a yes to these questions, then you ought to check out the delicious yet bizarre meals from across the globe. These foods will surely raise eyebrows, stimulate taste buds, and enrich an intense cross-cultural experience. What has primarily been scaring most people is now a popular deep-fried snack in Cambodia. They usually have tarantulas fried in garlic oil that leave them super crunchy on the outside yet very chewy on the inside. 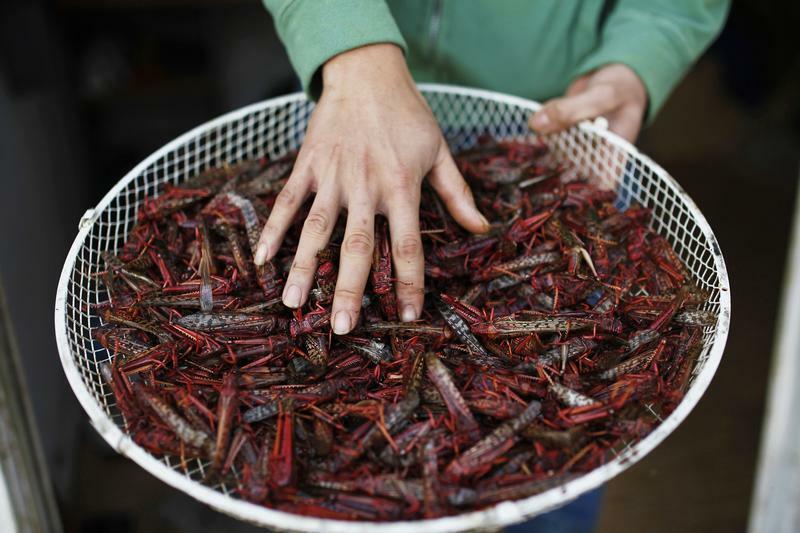 Despite having to suffer from locust plagues, Israelis seemed to find a delicious way to get rid of them, and that is – by eating them with delight. Israelis enjoy their locusts deep-fried or smothered in chocolate. Quite misnamed, Prairie Oysters are not oysters at all. In fact, the main ingredient is actually bull testicles. Often accompanied with spices and dips, these testicles are prepared either fried or stuffed. Heart, lungs, liver – you name it! Most internal organs of the sheep are all stuffed into its stomach and are then simmered with oatmeal and spices. 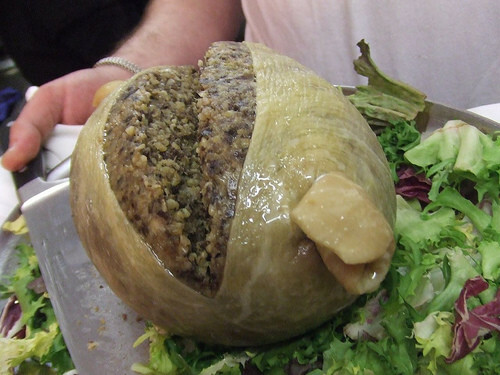 Rich in fiber and iron, Haggis goes well with turnips, mashed potatoes, and a shot of whiskey to finish the meal. You are not supposed to eat rotten cheese, right? Wrong. In Italy, Casu marzu is a Sardinian cheese that went really bad. Nonetheless, it is served with live maggots and fresh larvae on the surface. Creamy in texture and rich in taste, this dish leaves an aftertaste that lasts for a couple of hours. This meal looks normal at first but not until you find out that its main ingredient is dog meat. Quite unpopular today, this meal is still something food adventurers would like to try despite the discouraging smell. 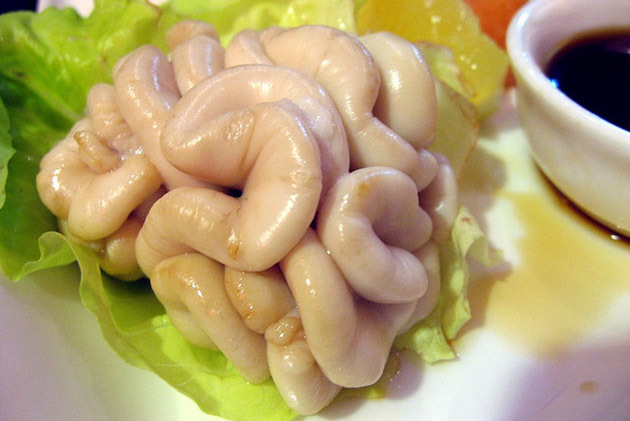 Filipinos seem to enjoy this boiled duck embryo as a casual snack. 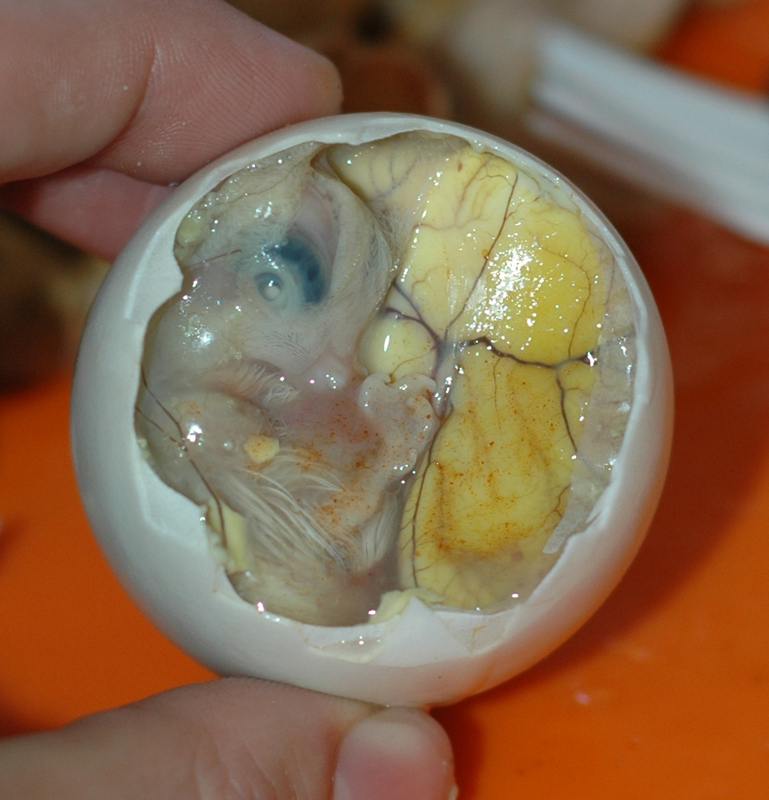 Often paired with vinegar and chili, balut eaters make sure to slurp its savory juice before devouring on its crunchy wings, beak, and bones. 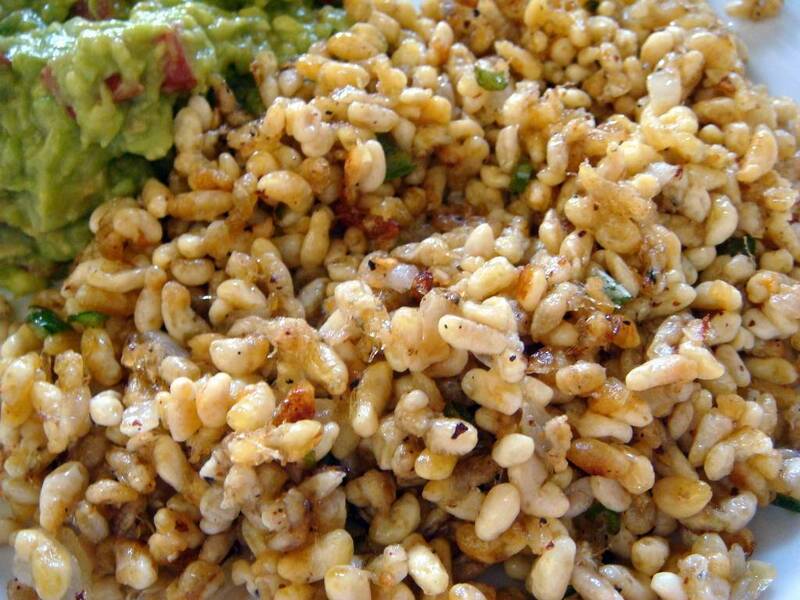 Dug deep down from the roots of maguey plants, eggs of poisonous ants are cooked into Escamoles. This has the texture similar to a nutty cottage cheese. For Mexicans, this is the perfect complement for omelets and tacos. Greenland sharks are poisonous when eaten fresh. Hence, Icelanders store their beheaded sharks until they are well-fermented and decayed. This fish is proven edible but curious tasters seem to hold their noses to get past the putrid smell. Fish sperms are not exactly an ideal dish ingredient, but in Japan, they serve the white, slimy sperm sacs of angler fish, puffer fish, or cod in custards or in soups. Many even attest it tastes better than it looks. With the list above, you are sure to be astounded by the unique delicacies offered by countries around globe. So, take the adventure and give these ‘weird yet probably scrumptious foods’ a brave shot.